This soothing blend calms the senses with a rich spiced floral accord. French lavender is warmed with spicy accents of nutmeg and ginger for the fragrance signature. A base of sweet vanilla bean intertwines with the floral tones, adding a lingering sensation of comfort. 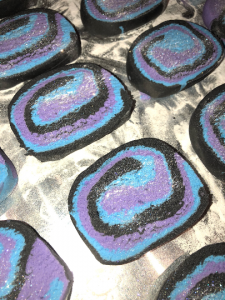 This listing is for 1 ( 4+/- oz ) Bubble bar good for 1-3 baths depending on how many bubble you like! 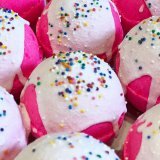 Crumble or Break a portion of the Bubble Bar off or use a Bubble bag from our shop & hang it!!! *Under Warm running water emerge it until its completely dissolved. The Hotter the water the more bubbles they make! *Agitate the water by hand for extra frothy bubbles.